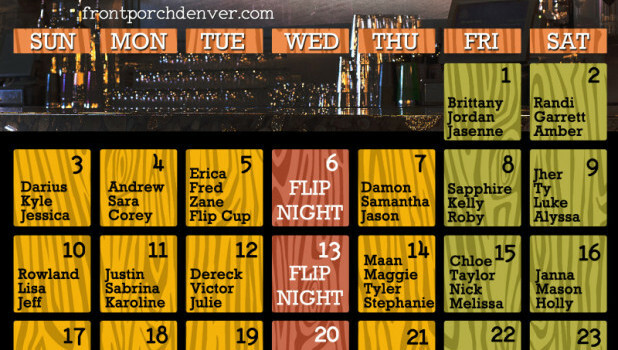 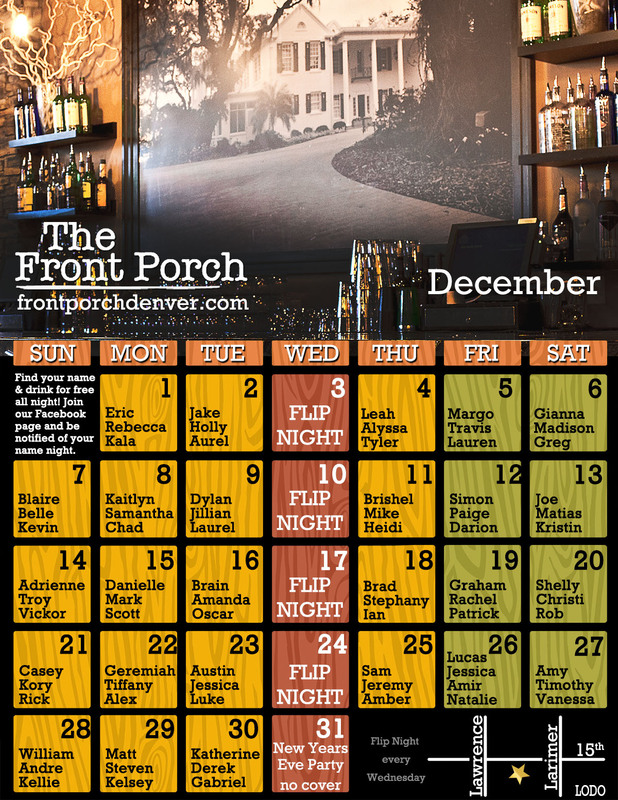 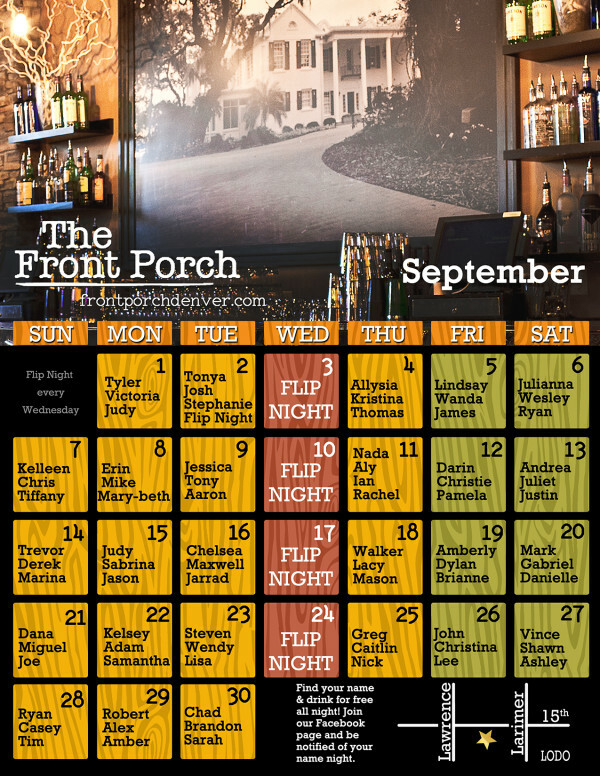 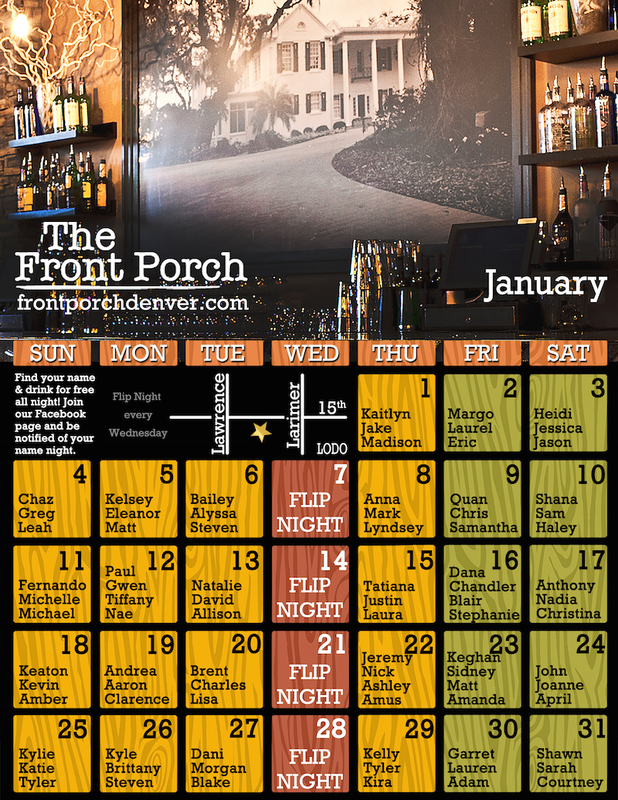 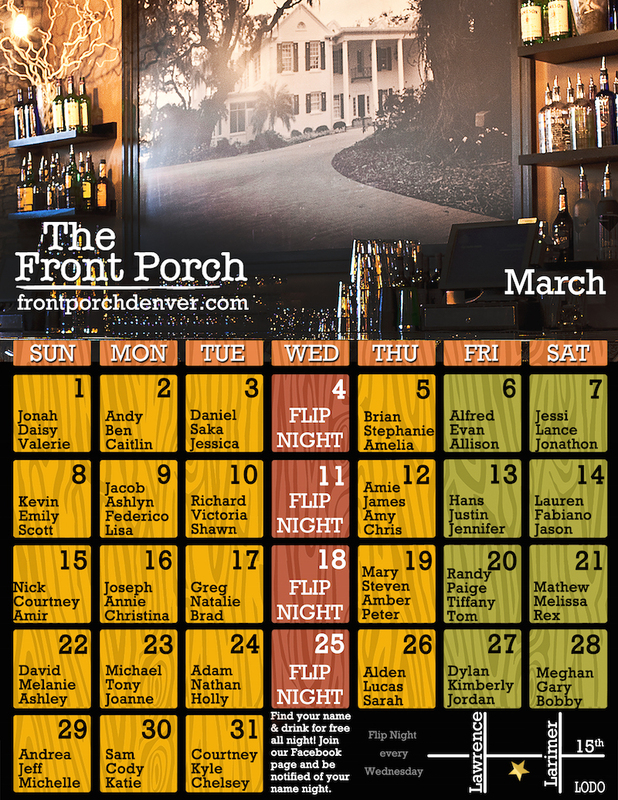 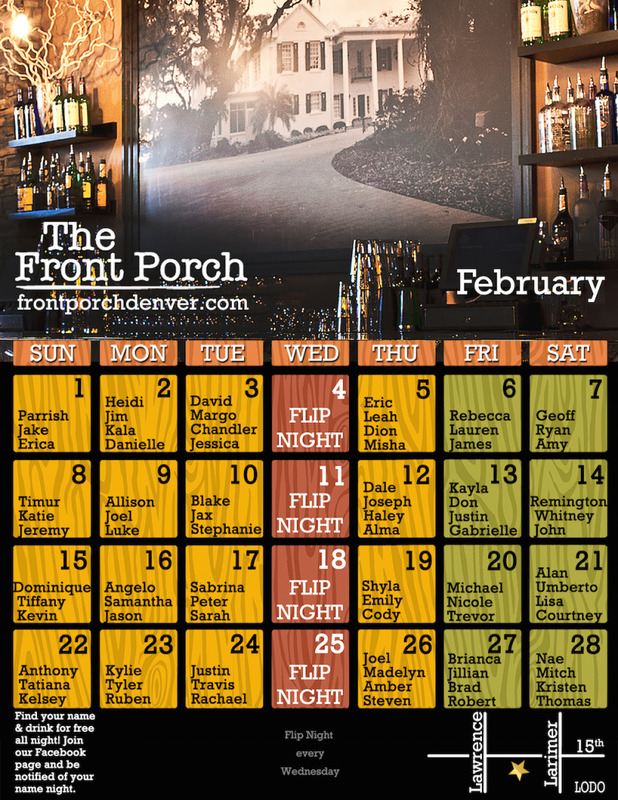 Category Archive for: "name night calendar"
The Front Porch: June Calendar! 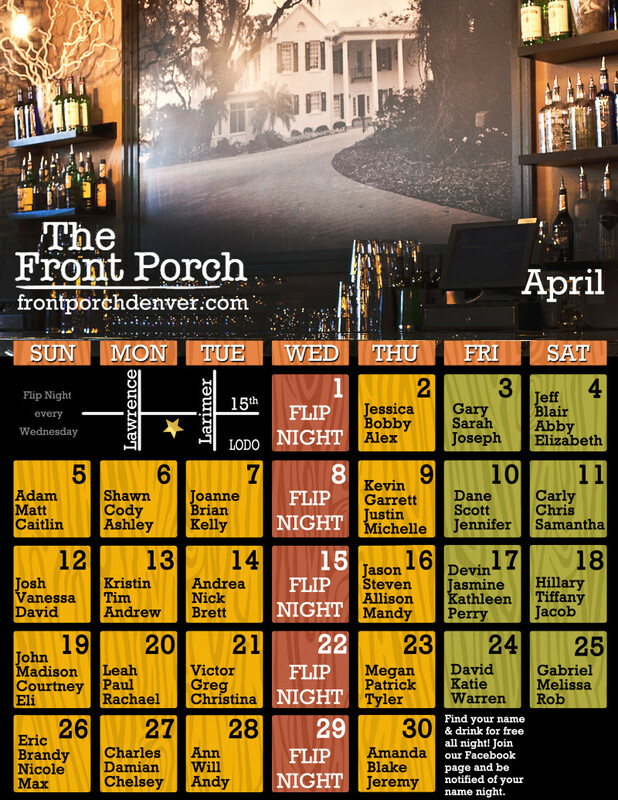 April Calendar! 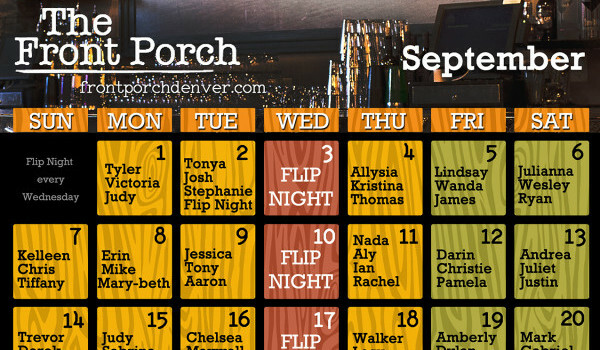 Find your name and that day you drink free.